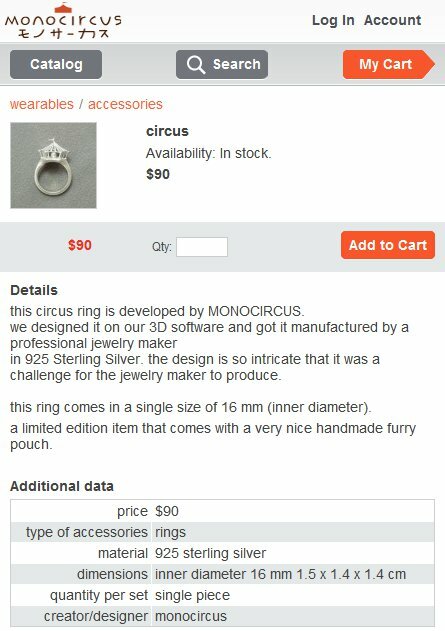 MONOCIRCUS is now on SMART PHONE! MONOCIRCUS is now accessible through Smart Phone! and of course shop and purchase our items! NOTE: Direct Payments by Credit Card is not available through this mobile service. 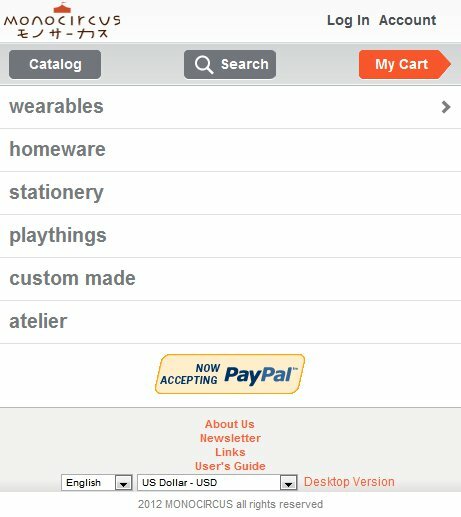 For Credit Card Payments, please pay via PayPal website as a PayPal Guest. A PayPal Account is not required in this way. You will be able to view our product images on your smart phones by sliding the scroll from side to side. To switch your browser to our desktop site, to preferred language, currencies, please click on the footer at the bottom of the page. We hope you will enjoy shopping with us even while you are on the move!